Oftentimes, the most simple solution to avoiding health problems can be found in the past - namely, time-honored foods that are rooted in tradition and wisdom. Long-established cultures, through observation and a close connection with the land and its people, developed exceptionally nourishing food staples. A modern revival of these most basic, yet remarkable, foods is on the upswing - with the following five edibles leading the way. Fermented cod liver oil - Scandinavian vikings had drums of cod livers fermenting by the doors of their homes. Likewise, Roman soldiers used cod liver oil daily. Historically, the oil was used to keep populations strong and disease-free. Unknown at the time, fermented cod liver oil contained substantial levels of naturally occurring vitamins A and D. Unfortunately, modern processing strips these valuable nutrients, which then requires "enriching" the final oil with synthetic vitamins. Low-temperature fermentation of cod liver bypasses this issue and retains all the healthy perks of the natural oil, including heightened immunity and protection against Parkinson's, Alzheimer's, inflammation, fibromyalgia and rheumatoid arthritis. Kefir - Long-used in the Caucasus Mountain region of Eastern Europe, kefir employs between 10 and 20 varieties of bacteria and yeast during culturing, thereby creating a richer probiotic profile than yogurt, which only utilizes a few strains. Moreover, kefir supplies generous amounts of calcium, phosphorus, B vitamins and protein. It's also a significant source of tryptophan (think relaxation and sound sleep) as well as kefiran, which has been shown to lower cholesterol and blood pressure in test animals. Instructions for making your own kefir can be found here. Bone broth - The age-old custom of eating chicken soup for curing a cold isn't simply a wives' tale; traditional cultures sensed the healing wisdom behind the practice. Brimming with essential nutrients, including calcium, phosphorus, magnesium and potassium, along with collagen, gelatin, hyaluronic acid and chondroitin sulfate, slow-simmered bone broth is an important addition to a healthful diet. It alleviates inflammation, heals a leaky gut and fortifies against bacterial and viral infections. Bone broth also strengthens the teeth, joints, bones, skin and hair. Just be sure to use only pastured, grass-fed animals, or wild game, to avoid toxins. If you would like to reap the benefits of bone broth, have a look at this straightforward recipe. Beet kvass - A deeply cleansing brew, with an exceptional antioxidant profile, beet kvass may not be well-known, but it's certainly a potent tonic for health. Kvass is said to soothe systemic inflammation (which effectively reduces the risk of diabetes, cancer and cardiovascular disease), boost immunity and enhance digestion. Simple steps for making beet kvass at home can be found here. 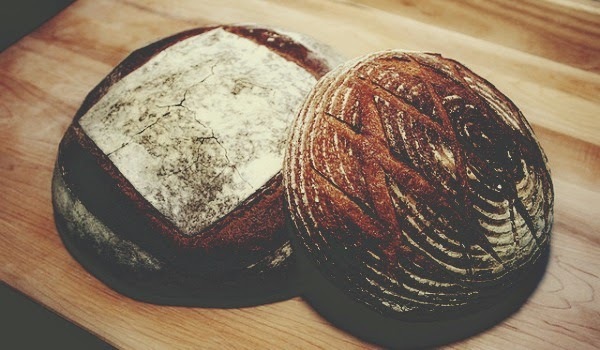 Sourdough - Up until the development of commercial baking yeast in the 1850s, all bread was fermented with naturally occurring yeasts found in the air and on the surface of grains. With modern bread making, we have sacrificed well-being for convenience - leading to a sharp rise in gluten intolerance and digestive disorders, while tooth and bone issues are becoming far too common. A classically prepared sourdough can help alleviate these problems and more. Through a long fermentation process, lactic acid builds, which helps mitigate phytates - troublesome elements found in grains, nuts and seeds that block nutrient absorption. And research in Applied and Environmental Microbiology found that, when wheat bread is thoroughly fermented, gluten content drops to 12 ppm —a level which is deemed gluten-free. To learn more about the art of traditional bread baking, Nourished Kitchen offers an in-depth tutorial.